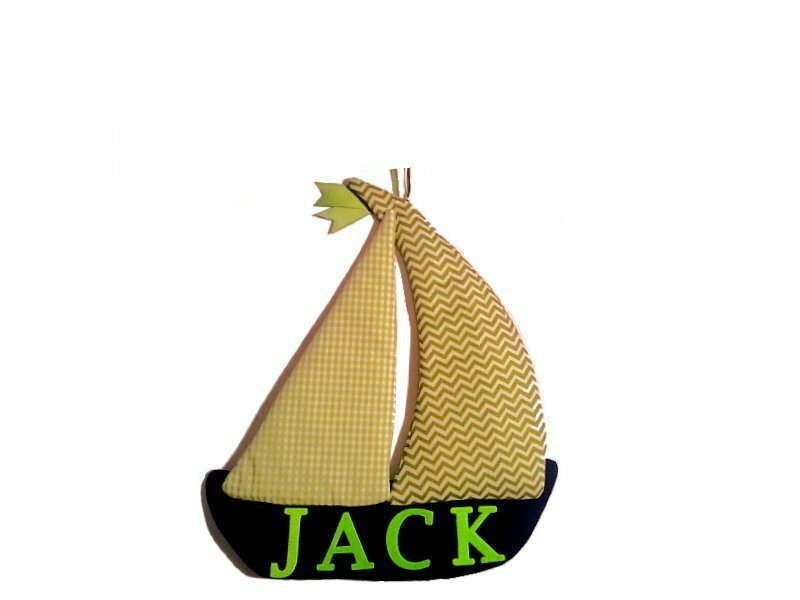 Sailboat personalized room decor. Live by the sea? Wish that you did? A Nautical themed nursery is perfect for your lil" Sailor. Measures 11 x 13 in. Our Saiboat Wall Design is personalized FREE (up to nine letters long). Ribbon is included for easy hanging. Fabric wall design is quilted with batting and foam and has unique details.